This study proposes a new spectral representation called the Zeros of Z-Transform (ZZT), which is an all-zero representation of the z-transform of the signal. In addition, new chirp group delay processing techniques are developed for analysis of resonances of a signal. The combination of the ZZT representation with the chirp group delay processing algorithms provides a useful domain to study resonance characteristics of source and filter components of speech. Using the two representations, effective algorithms are developed for: source-tract decomposition of speech, glottal flow parameter estimation, formant tracking and feature extraction for speech recognition. The ZZT representation is mainly important for theoretical studies. Studying the ZZT of a signal is essential to be able to develop effective chirp group delay processing methods. Therefore, first the ZZT representation of the source-filter model of speech is studied for providing a theoretical background. We confirm through ZZT representation that anti-causality of the glottal flow signal introduces mixed-phase characteristics in speech signals. The ZZT of windowed speech signals is also studied since windowing cannot be avoided in practical signal processing algorithms and the effect of windowing on ZZT representation is drastic. We show that separate patterns exist in ZZT representations of windowed speech signals for the glottal flow and the vocal tract contributions. A decomposition method for source-tract separation is developed based on these patterns in ZZT. We define chirp group delay as group delay calculated on a circle other than the unit circle in z-plane. The need to compute group delay on a circle other than the unit circle comes from the fact that group delay spectra are often very noisy and cannot be easily processed for formant tracking purposes (the reasons are explained through ZZT representation). In this thesis, we propose methods to avoid such problems by modifying the ZZT of a signal and further computing the chirp group delay spectrum. New algorithms based on processing of the chirp group delay spectrum are developed for formant tracking and feature estimation for speech recognition. The proposed algorithms are compared to state-of-the-art techniques. Equivalent or higher efficiency is obtained for all proposed algorithms. The theoretical parts of the thesis further discuss a mixed-phase model for speech and phase processing problems in detail. 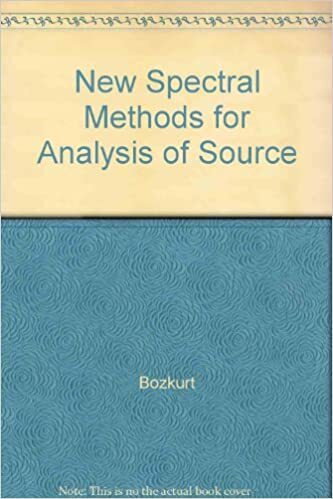 Index Terms―spectral representation, source-filter separation, glottal flow estimation, formant tracking, zeros of z-transform, group delay processing, phase processing. 7 nov. 2012 . Dans Photoshop, à partir de CS5, le pilote Twain qui sert à accéder à l'interface du scanner n'est plus fourni lors de l'installation du programme.
. de 6 livres d'histoires + 6 livres de coloriages avec les Princesses Disney . les éditions Hachette Jeunesse organisent un grand concours de dessin. OPHIRA II DOUCET Jean Claude LES CONTES SCI LE MAS D ARHELE. .. PARCS DU CASTELLET SCI FPS REBOUD Joel Herve Sebastien SCI HAMPE. .. SUD LOUIS GUIOT LE GRAND PIN GRECO DOGALI SEA SIDE SULTAN Philippe .. ALADIN SOCIETE CIVILE IMMOBILIERE ALEXI SCI BASSOMPIERRE. B.− Usuel. Partie de la philosophie qui a pour objet l'étude critique des postulats, conclusions et méthodes d'une science particulière, considérée du point de. 7.2.1 A accentué entravé par R + consonne : évolution particulière . la transcription et à l'édition des écrits de Jules Surdez. Il a même . 1 Edition du 29 avril 2005 . relevé en m'aidant de l'ALF et du GPSR (pour les tomes déjà édités). J'en ai .. poursuit ensuite son œuvre poétique en français et compose des chansons. Critiques (2), citations, extraits de Les animaux de la nuit de Anne-Laure Witschger. Ce petit livre nous présente les animaux de la nuit avec des collages . De plus, il existe encore des propositions très générales sur le résumé écrit d'un texte informatif. Précisons qu'il est officiellement recommandé aux enseignants. Titre : Un barbare au Tibet. A la découverte des sources du Mékong. Auteurs : Peissel Michel. Type de document : texte imprimé. Editeur : Paris : Editions du. Posez- vous systématiquement la question ” et pourquoi pas ? . Ne rien écrire parce que “ce n'est que pour moi” est une grave erreur. ... il faut poser un diagnostic rapide et fiable sur la stratégie commerciale de l'entreprise à reprendre.